The only man convicted of a Co Tyrone pub bombing linked to a loyalist unit behind more than 100 murders named alleged accomplices, the High Court heard today. Counsel for the brother of a teenager killed in the St Patrick’s Day attack on the Hillcrest Bar 40 years ago argued there is now fresh evidence in a case involving suspected state collusion. Mr Barnard’s 13-year-old brother Patrick was was one of four people killed in the Hillcrest Bar bombing in Dungannon on March 17, 1976. Five years later Dungannon UVF member Garnet James Busby was convicted after admitting his role in the attack. 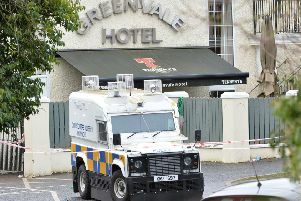 The murder gang based at a farm in Glenanne, Armagh allegedly contained members of the Royal Ulster Constabulary and the Ulster Defence Regiment. They include outrages such as the 1975 Miami Showband Massacre, where three members of the popular group were taken from their tour bus and shot dead on a country road in Banbridge, and the Step Inn pub bombing in Keady a year later, which claimed the lives of two Catholics. “My client has access to, and we on his behalf have access to (material) to say fresh evidence is available,” he argued. He also questioned the quality of the unfinished work. Mr McGleenan added: “This particular challenge is pursuing a fruitless endeavour in attempting to complete a piece of work that will not deliver anything meaningful for the Barnard family at all.